Troy Ogilvie has danced for and collaborated with choreographers - Roy Assaf, Sidra Bell, Antonio Brown, Gabriel Forestieri, Itzik Galili, Shannon Gillen, Margie Gillis, Andrea Miller, Patricia Noworol, Zoe Scofield, Idan Sharabi, and Nicole Wolcott; violinist - Liv Heym; theater company - Punchdrunk (as Lady Macbeth in “Sleep No More” NYC); and directors - Sophie Bortolussi (“McKittrick Masquerade” parties), Susan Misner, and Peter Sellars (“The Gospels According to the Other Mary,” LA Philharmonic). She has also curated, produced, and performed in solo shows 'RESET' (2011), 'PRISM' (2017 - with producer Ron Black), and ‘BITE’ (2019). Troy teaches improvisation and is on faculty at SPRINGBOARDx Skills + Process, The Joffrey Jazz & Contemporary Program, Peridance, and The Performing Arts Project. Troy’s choreography has been performed by the Joffrey Jazz & Contemporary trainees, Rivertown Dance Academy, and can be seen this summer at The Cloisters in The Ninth Hour (A Beowulf Musical). 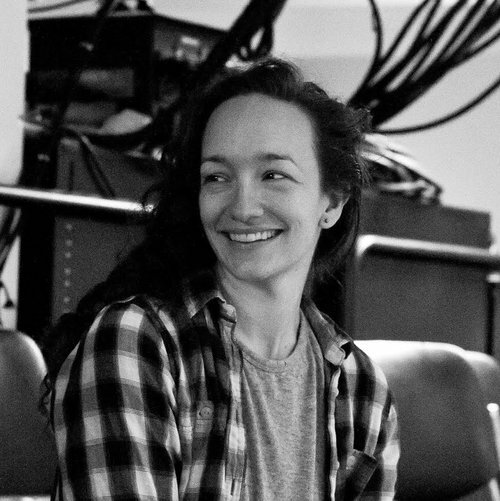 She has participated in residency programs at The Marble House Project and Turkey Land Cove Foundation and was one of “Dance Magazine’s 2011 Top 25 to Watch.” Juilliard B.F.A.